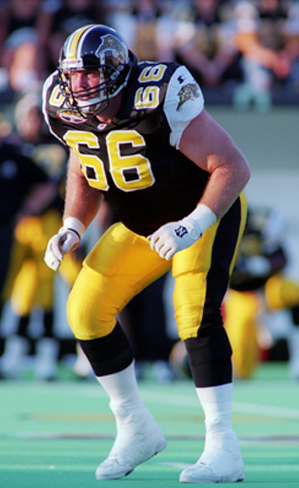 Miles Gorrell’s time within the Canadian Football League was spent with five teams, but most notability with the Hamilton Tiger-Cats, where he won his only Grey Cup in 1986. Upon retirement, Gorrell ranked fourth all-time on the CFL service list with 19 seasons (321 games played). In 2004, Gorrell served as the Director of Canadian Personnel with the Calgary Stampeders, and in 2006, Gorrell signed with the Toronto Argonauts as their personal consultant. The University of Ottawa, where he played his collegiate football career, named an award after him. The Miles Gorrell Award is presented to the Best Offensive Lineman.